Wondering what products you should ask Santa to put in your Christmas stocking to bring you the perfect complexion in 2014? A go to brand that both celebrities and beauty professionals are always keen to stock up on is Dermalogica, and the standout product of their entire skincare wonder range, has to be the high performing Dermalogica Daily Microfoliant. 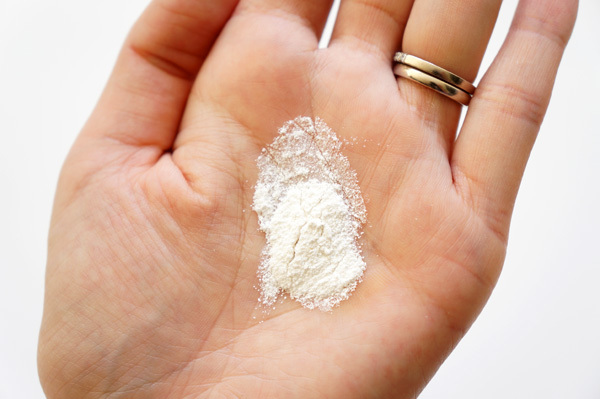 The little tub of powder, which you mix with water to form a paste, will last you well in to the New Year as a little of the product goes a long, long way, and it’s potently powerful ingredients work like a magic potion to pep up dry, jaded, and flaky complexions. The cocktail of Papain (papaya extract) which eats away dead skin cells, Rice Enzymes which brighten, and Salicylic Acid that encourages healthy cell turnover, really gets measurable results that you can see in a relatively short space of time when used on the daily. 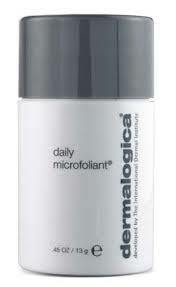 Although Dermalogica Daily Microfoliant may be more costly than most of the scrubs the high street brands are retailing, it’s worth noting that some people report their tub of the product lasts them nearly a year. And the micro-granules are so kind to skin that the scrub is suitable for even the most sensitive of complexions, meaning if you have the kind of skin that would normally flare up after exfoliation, it may well be worth giving this one a try. Some products achieve cult status as much because of the hype surrounding them as the effect they have on your skin, or even sell units because of the glossily glamorous packaging that surrounds them, but Dermalogica Daily Microfoliant, with its low key grey and white exterior really delivers what it promises, and some. But don’t take our word for it, try it for yourself, most stores stocking the product offer samples, and even after one use you will see a noticeable difference in your complexion. Skin appears tighter, more youthful, and more radiant after application, it’s basically everything anyone could ever want in a skincare product. And this cult wonder product works just as hard on male as it does female complexions, so both you and your man can use it to shed your dead skin cells and encourage a healthier complexion. Perfect for a stocking filler for everyone who likes to ensure they are well groomed, from your mother to your boyfriend, just make sure you stick an extra one under the tree for the most important person of all – you! This coming New Year it’s time to turn over a new leaf, and kick dull, unhealthy looking skin in to touch, with a dose of Dermalogica Daily Microfoliant, your complexion will definitely thank you for it. If you’re up for a more relaxing treat, you’ll love our Dermalogica Facials, where you’ll usually see our therapists including this versatile gem in the treatment. A perfect way to see if your skin loves the product or not.